Northeast Foundation and Concrete specializes in foundation repair and basement waterproofing throughout south central Pennsylvania. We aren’t a one-approach-fixes-all problems company. Northeast Foundation and Concrete draws from more than 20 patented products and systems to solve a homeowner’s or commercial building owner’s waterproofing and structural foundation problems. It doesn’t matter what kind of water or concrete problem you have, we have a customized solution! Northeast Foundation and Concrete is a family owned and operated and focus on providing permanent solutions and professional service to our customers. The quality of our work is unmatched by competitors and we provide written, transferable warranties. If you are dealing with a wet basement, sinking foundation, cracked or bowed walls, concrete pads, floors or sidewalks that need leveling we are Pennsylvania’s trusted experts. We serve homeowners and businesses in Harrisburg, Reading, York, Lancaster, Camp Hill, Mechanicsburg, Carlisle, New Cumberland and all surrounding areas. Get a free, no-obligation estimate today! Servicing all types of concrete slabs such as sidewalks, steps, driveways and garage floors. We also service commercial and industrial slabs. Northeast Foundation and Concrete Provides structural and aesthetic solutions for all your pre-existing concrete. Concrete foundations are notorious for cracking. This typically comes from the curing process of concrete. Most are not structural problems. But they are vulnerable to allowing water in. 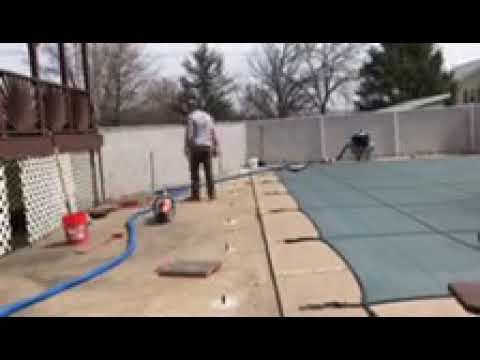 We are one of the best basement waterproofing companies in Central Pennsylvania providing dry space for your concrete, block, and stone foundations. Offering multiple solutions to match each unique situation. We are experts in correcting and stabilizing moving and failing foundations. 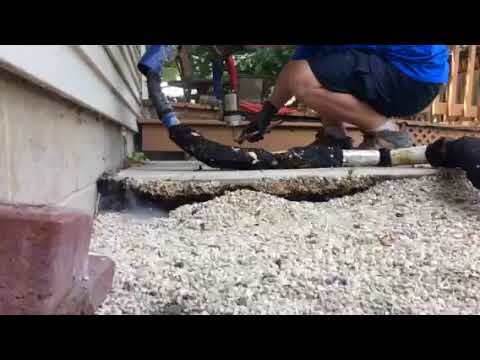 Correcting and stabilizing cracked concrete and settling structures along with leaning chimneys. Offering effective and affordable remediation. Extensive experience working with insurance companies.